I have not done a Monday Made It in a long time! I would venture to say...since this summer! #1: Semi-homemade...I bought the wreath but added the ribbon. 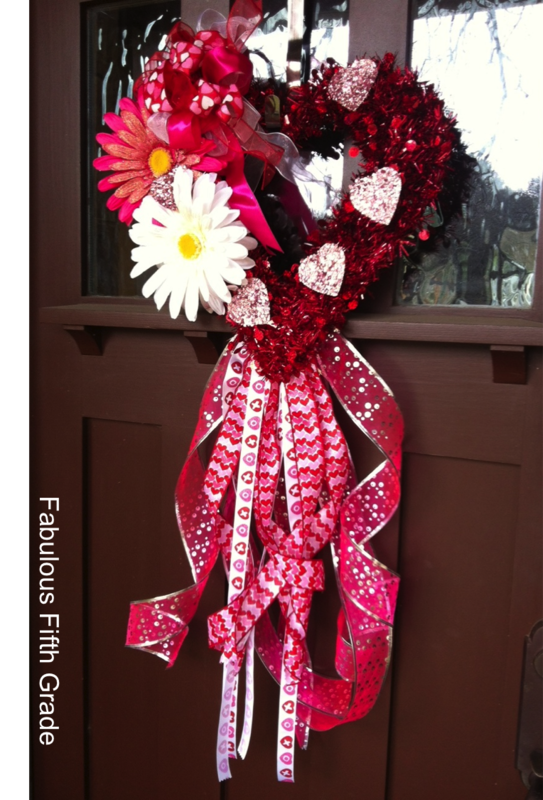 In our neck of the woods...you must have lots of ribbon on your wreath! #2: Spring has sprung...or at least it feels like it in Texas with my 5th graders. No capital letters at the beginning of a sentence, no periods or question marks, and no complete sentences! Really?!!! Soooo, I'm going to try the "Frame of Fame!" Each week I'm going to pick a student piece of work that is worthy of being in the frame. 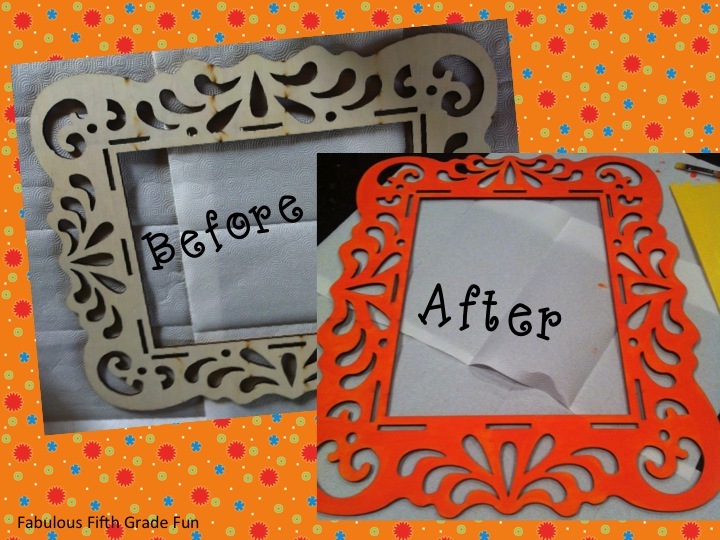 The "Frame of Fame" will be outside our classroom. Each weekend, I will pick a piece of work to go in the frame. 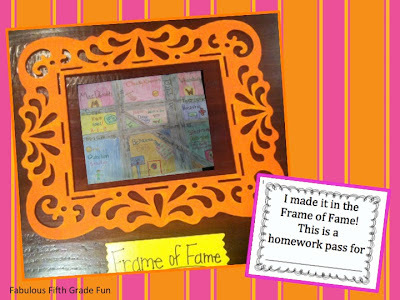 If their work is in the frame, they will get a homework pass for an assignment that week. I had every intention of bringing the frame to school, but I left it on the kitchen island this morning!!! Ugg! Actually, I think I might paint the back a different color. That way, the student can pick the color. This is the first piece of work that will be displayed. #3: My last Monday Made It!... I found these at Wal-mart. 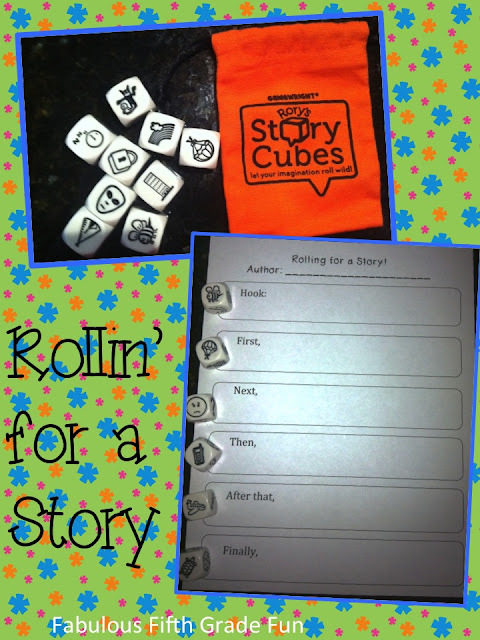 Rory's Story Cubes! There as so many ways you can use these! This week we will use them during "Work on Writing." The sequencing sheet will help guide their writing. I have got to find a better way to take pics...too many shadows! 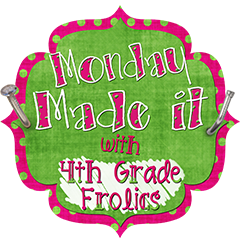 There are some really great ideas over at 4th Grade Frolics Monday Made It! I LOVE the "Frame of Fame"! I might have to borrow the idea. I'm a little thankful that your students are missing their periods/capital letters etc. My second graders are too and it's driving me crazy! 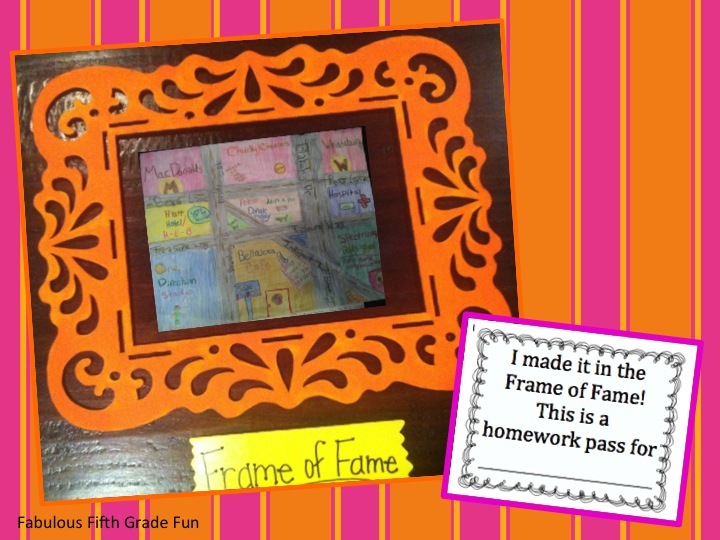 I may try that Frame of Fame idea! Enjoying your blog! Hope that you will check mine out as well, I'm currently having a giveaway... you should enter!